Would be possible to break the corrector suggestions into the menu? 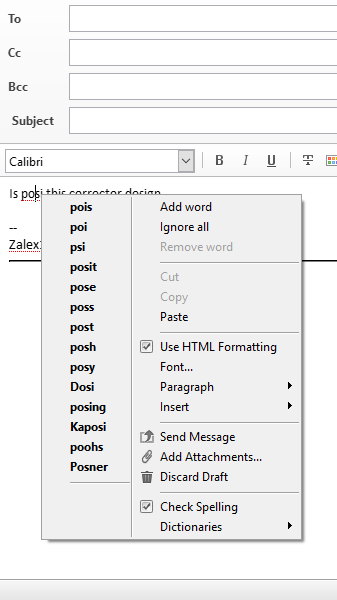 In Opera 12.x / Mail, adding *"BreakItem" to the Menu.ini you are able to separate the suggestions from the menu column. 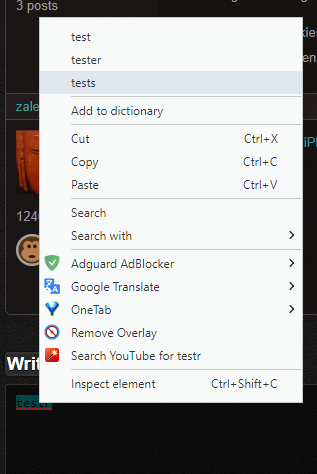 Despite in Chromium seems that there is a limit of 3 suggestions, when you type in a box in the bottom of web the suggestions are in the top, and depending on the how many extensions you must to move, sometimes so long.